An integrated behavioral program’s success largely depends on how and how much the primary care provider encourages the client’s participation in it. The provider usually has enormous influence on how the clients will perceive and respond to the offer of behavioral care. Kirk Strosahl, a widely respected author and consultant in this field, endorses the provider’s making a direct, “warm hand-off” of the client to the behavioral counselor and using specific, nonstigmatizing language to make the introduction. See Sample Warm Hand-off Script. The primary care provider also plays a pivotal role in identifying clients who may benefit from behavioral health care – those experiencing mental health problems, substance abuse problems, or physical health problems with behavioral components – depending on how the integrated model is structured within the clinic. Given the importance and prevalence of mental disorders, primary care providers should afford them equal weight with physical disorders, though this is not always the case. 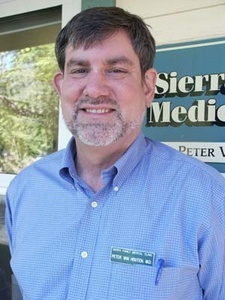 In a September, 2007 presentation at the Hogg Foundation for Mental Health, researcher Jurgen Unutzer cited a study showing that patients received on average 1.1 minutes of physician attention for mental health issues they raised during a primary care visit, which lasted an average of 15.7 minutes. If medications were prescribed, an additional one minute was spent discussing them. The doctors more quickly changed the subject when patients brought up mental health issues than any other topic. The study underscores the importance of behavioral care availability. Demonstrate an understanding of the relationship of medical and psychological systems and how psychological issues may manifest themselves physically. Divert clients with behavioral health issues to the behavioral counselors. Refer clients appropriately to classes run by the behavioral health program. Clearly state the referral issues to the behavioral counselor. Interrupt the behavioral health counselor as needed. Conduct effective “curbside” consultations with the behavioral counselors. Be willing to aggressively follow up with the counselors when indicated. Engage in co-management of client care with the counselors. Chart behavioral referrals and treatment plans. Demonstrate knowledge of the behavioral counselors’ role. Be comfortable orienting the behavioral counselor to the primary care environment. Demonstrate a basic understanding of mental disorders and how to identify them. Clearly states referral question in the referral to the behavioral counselor. Interrupts the behavioral consultant when the need arises. Conducts effective “curbside” consultations with the behavioral health consultant. Is able to engage in consultative co-management with the behavioral consultant. Follows up with the behavioral consultant when indicated. Sets a timetable for response and uses the behavioral counselor to assist with patients who aren’t improving. Uses intermittent visit strategy (back-and-forth with the behavioral provider) to expand continuity of care. Uses the behavioral consultant to “leverage” practice – increase practice capacity, control client flow and prevent back-ups. Uses behavioral consultant generated prevention strategies (i.e., relapse prevention plans, behavioral health “vital signs”). Uses the behavioral counselor in the triage of patients to specialty mental health and chemical dependency. Uses the behavioral consultant as a integral part of chronic condition pathways.